As a contractor, it’s an understatement to say you have a lot to worry about. The nature of your business is one where your job takes you from job site to job site, sometimes quite rapidly. Yet when it comes to contractors insurance, it’s not just a fantastic idea to have for your own protection, but in most cases, it’s either required by law or by the clients you work with. 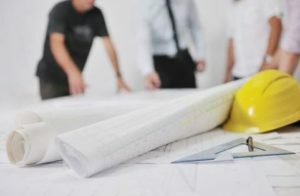 At California Contractors Insurance, we understand the importance of coverage and will work with you to find a price that won’t hinder your cash flow. We provide affordable insurance for contractors in the state of California. We have 20 years of experience and a dedicated staff that will help you tailor a policy to suit the specific needs of your business. Respected and trusted throughout the state of California, we’ll do our job and exceed your expectations so you can do the same for your customers and clients. We provide the following coverage: general liability insurance, workers compensation insurance, commercial auto insurance, builders risk insurance and contractor bonds. Insurance is not just a smart choice for your business, it also satisfies your clients as well as most states legal requirements. Our policies include coverage options for customer property damage, injury, and lawsuits. As a contractor, you need to keep your business well protected. Call us today at (888) 728-4034 and one of our friendly associates will answer any of your questions and be happy to assist.